You’ll find us across from The Grand Traverse Mall, between Batteries Plus Bulbs and Elite Dry Cleaners. Take the drive around the back to the left. Enter the hallway and we are the first door on the left. You will immediately feel at home when you walk in the door. 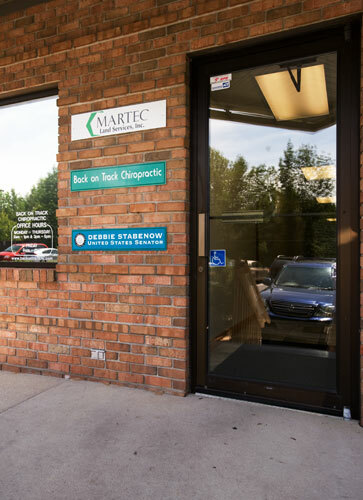 Our friendly staff will welcome you with a smile. 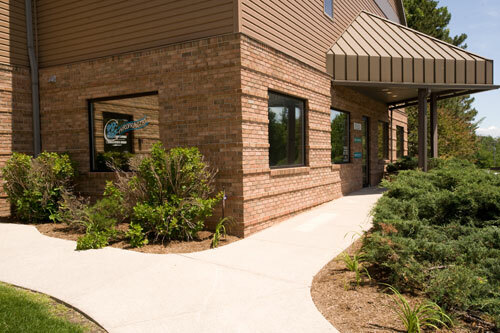 Our waiting area is welcoming and always has room for you! Shortly after arriving you will be greeted by Dr. Schiller with a smile. 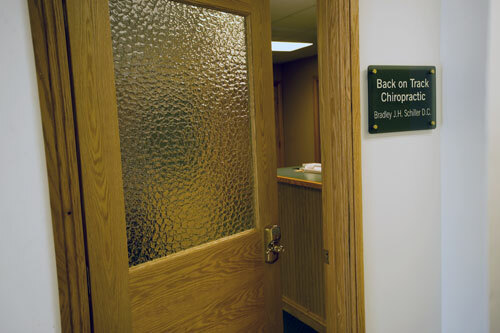 The consultation, report of findings and adjustment room are all together for your convenience. 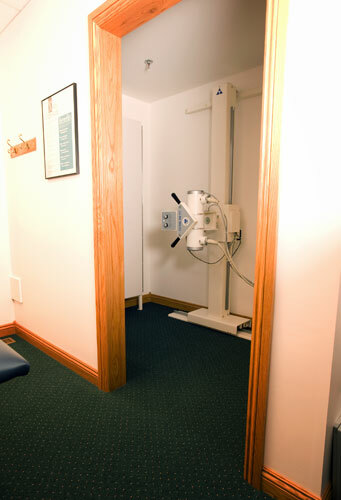 Back on Track Chiropractic is equipped with on-site, high quality x-ray. Intersegmental Traction may be used prior to the adjustment. 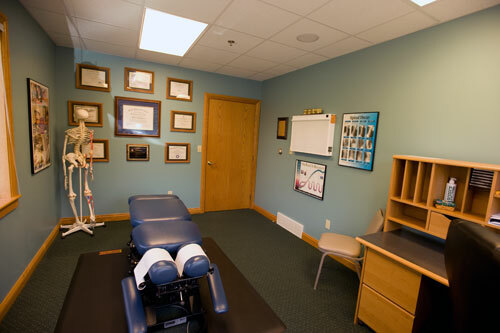 Back on Track Chiropractic uses a table that is capable of adapting to several kinds of patients. For example, the one you see here is pregnant. Our office is very welcoming to children. Dr. Schiller uses several techniques. The technique is determined by the type of condition & the age of the patient. 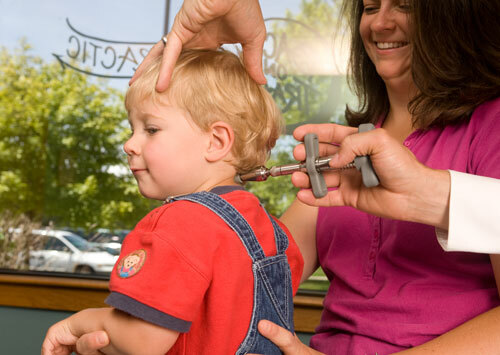 Dr. Schiller is using an Activator on a young patient. This technique is very comfortable and gentle. It often causes giggles from children because it can tickle.